Adrian A. Adascalitei was born in Sascut-Targ, Bacau-county, on 10th September, 1952. Dr. Adascalitei received his M.S. degree in Electrical Engineering (1976) and PhD degree in Computer Science (2001) Technical "Gh. Asachi" University Iasi, Romania. He is associate professor (reader) at the Technical "Gh. Asachi" University Iasi. 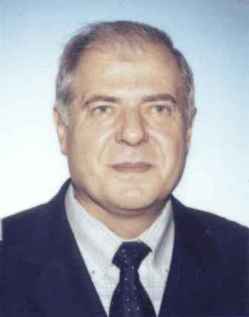 Dr. Adascalitei is a member of the Faculty of Electrical Engineering since 1982. He also teaches courses in the Departments of Teacher Training (University "Al. I. Cuza" Iasi and Technical "Gh. Asachi" University Iasi), in in the subjects of: didactics of engineering disciplines, computer-aided instruction, information and communication technologies (IT) in education. Dr. Adascalitei is the author (and co-author) of 5 textbooks on electrical engineering subjects, elearning, and information systems. He has also published technical papers in research areas of: e-learning, computer-aided communication, computer aided electrical engineering education, and electromagnetic compatibility.  Adascalitei A (Adascalitei, Adrian)1, Carmocanu G (Carmocanu, Gheorghe) . ELEARNING TOOLS IN ROMANIAN EDUCATION SYSTEM. In Popescu V; Jugureanu R; Stefan V; Radu C (ed. ), 6th International Scientific Conference on eLearning and Software for Education, pp. 359-364. EDITURA UNIVERSITARA, BD NICOLAE BALCESCU NO 27-33, BUCHAREST, ROMANIA , 2010.  Grinberg N, Cretu M, Adascalitei A. Computer Models of Current Transformers in the Presence of Harmonic Distortion. In Management of Technological Changes, 1, pp. 633-636. 2009.  Adascalitei A (Adascalitei, Adrian), Galea D (Galea, Dan). Using e-Learning to Optimize Human Resources Training on the Job in Simulated Enterprises. In Vlada M; Albeanu G; Popovici D (ed. ), PROCEEDINGS OF THE 2ND INTERNATIONAL CONFERENCE ON VIRTUAL LEARNING - VIRTUAL LEARNING - VIRTUAL REALITY: MODELS & METHODOLOGIES, TECHNOLOGIES, SOFTWARE SOLUTIONS, pp. 61-68. BUCHAREST UNIVERSITY PRESS, SOS PANDURI NR 90-92, BUCHAREST, 050663, ROMANIA , 2007.  Adascalitei Adrian. Instruire asistata de calculator. Didactica informatica, 2007, Editura Polirom, Iasi. Polirom, Iasi, Romania, 2007.  Adascalitei AA (Adascalitei, Adrian A. ) . Courseware structure for online electromagnetic compatibility. In 2006 IEEE International Symposium on Industrial Electronics, Vols 1-7, pp. 3212-3215 . IEEE, 345 E 47TH ST, NEW YORK, NY 10017 USA , 2006.  Adascalitei Adrian , Cretu Mihai. Implementation of EMC Directive and the new conformity assessment system in Romania. NEWSLETTER of Forum of laboratories implementing EU Electromagnetic Compatibility Directive, June 2005, pp. 1-4, 2005.  Adascalitei A (Adascalitei, A. ), Dumitrescu C (Dumitrescu, C. ) . Didactic methodology to producing multimedia materials for e-learning Electrotechnics Course. In Oprean C; Kifor CV; Georgescu N (ed. ), 3rd Balkan Region Conference on Engineering Education, Conference Proceedings - ADVANCING ENGINEERING EDUCATION, pp. 197-202. UICEE, FACULTY ENGINEERING, MONASH UNIVERSITY, CLAYTON, MELBOURNE VIC 3168, AUSTRALIA , 2005.  Adascalitei, Adrian A. . Chapter 7, Conducted Problems. In: Adascalitei, Ball, Cretu, David, Lever, Montanari, Paede, Salceanu: Electromagnetic Compatibility, Testing and Measurement, Theory Manual, pp. 191-228, 2002.  Adascalitei, Adrian A. . Chapter 10, Emissions Tests. In Adascalitei, Ball, Cretu, David, Lever, Montanari, Paede, Salceanu: Electromagnetic Compatibility, Testing and Measurement, Theory Manual, pp. 267-286. 2002.  Adascalitei, Adrian A. . Chapter 7, Microprocessor system EMC. In Electromagnetic Compatibility, Testing and Measurement, Practical Manual, pp. 93-113. 2002.  Galea D, Adascalitei A. The strategy to adopt open and distance education in Romania. ONE WORLD MANY VOICES: QUALITY IN OPEN AND DISTANCE LEARNING, 1, pp. 493-496, 1995.  ADASCALITEI A, LINDON P, BELOUSOV V, GAFITEANU M . IASI PROJECT - A TECHNOLOGY-TRANSFER MODEL FOR INDUSTRY UNIVERSITY PARTNERSHIP. In Duggan TV (ed. ), 3RD WORLD CONFERENCE ON ENGINEERING EDUCATION, VOL 3 - INDUSTRIAL LINKS, COMPUTERS AND DESIGN , 3, pp. 425-430. COMPUTATIONAL MECHANICS PUBLICATIONS LTD, SOUTHAMPTON, 1992.  ADASCALITEI AA, LINDON P, BELOUSOV V, GAFITEANU M, TEODORESCU HN . CONTINUING ENGINEERING-EDUCATION - A ROMANIAN CASE - THE INTERNATIONAL-CENTER-FOR-ENGINEERING-EDUCATION, IASI. In Hagstrom A (ed. ), 5TH WORLD CONFERENCE ON CONTINUING ENGINEERING EDUCATION, 2, pp. 1043-1048. INT ASSOC CONTINUING ENGINEERING EDUCATION, IACEE, ESPOO , 1992.  ADASCALITEI AA . NEW EDUCATION TOOLS. IEEE CIRCUITS AND DEVICES MAGAZINE , 6, pp. 3-3, 1990.  Alexa, D. (Dimitrie Alexa); Adascalitzei, A. (Adascalitei A. ). Selbstgeführter Blindleistungsstromrichter mit induktivem Speicher. Archiv für Elektrotechnik, 71, pp. 115-119, 1988.  Adascalitei, Adrian A. . Contributii la perfectionarea sistemelor moderne multi-media in procesul didactic de asimilare a cunostintelor din domeniul disciplinei de bazele electrotehnicii (Compatibilitate electromagnetica). 2001.